Most people I know, particularly most writers I know, don’t enjoy adulting. I hated adulting so much I told myself I was happy with part-time service industry jobs for 10 years before I finally went to college. At the time, I thought I was going back to college so that I could get on with conforming to adulthood. By the time I graduated last summer at the age of 32, I’d realized, thanks to friends and most of all professors, that being a responsible adult does not mean a soul-crushing 9-5 job, and that my skills as a person are, actually, valuable in the “real world,” no matter what anyone outside my fields of expertise might tell me to the contrary. It has been an inspiring and revealing year for me as a young-30’s writer. I got a degree in anthropology because I wanted to do archaeology. I got a job with a local archaeology firm before I graduated. I still work for that firm, and people still tell me there are no jobs in archaeology. When people ask if it’s full time and I say, “Not at the moment,” they often look smug, and I look smug right back, because here’s the thing: I never wanted to devote all my time and energy to one thing. The best way for me to go from loving something to being soul-crushingly bored by it is to do it all the time. Granted, archaeology has enough variety in itself that 40 hour weeks would definitely not be a problem. But I get to work in my chosen field with people I get along with, getting exercise and spending time in nature frequently as part of my job. My favorite pastime as a child was playing in dirt and finding stuff to put in my “museum” (i.e. playhouse). 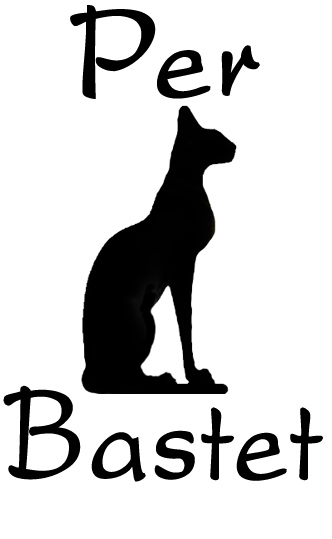 Perhaps because I’ve learned to live in chaos and a perpetual state of having something I should be working on, I’ve re cently added to my agenda the role of Marketing Director for Per Bastet Publications, the house through which my own novel, The Life and Death (but mostly the death) of Erica Flynn, is now published. Strangely, taking on more in this case has made me feel more driven to work on my own fiction, something I’ve let slide far too much this year. The more I think of what the press offers (so far, a number of excellent speculative fiction novels and collections of short stories!) the more I find myself wanting to write more stuff, wanting to actively work to share more of the ideas that bounce around in my head all the time with readers. So, you might be wondering, what am I writing these days? I’ve got two projects in the fire at the moment, both of which I’m actively working on (most days), as my schedule allows. 1. A sequel to Erica Flynn, which I have around 20,000 words on and no title for yet. 2. A series of interconnected steampunk/cyberpunk short stories featuring Penelope and Puddingfoot in post-apocalyptic (no zombies) adventures across America (the first of which was published in the Circuits & Steam anthology). I’m working on the second story now, with a four-story plot arc lined up. All knowledge is useful knowledge. Taking interest in a wide variety of subjects gives you that much more material to work with when it comes to writing – you can get rich, specific detail and a broad spectrum of characters and settings just by being curious…and you never know what will pop up that might give you an idea. In archaeology, you never know what might come in handy, either. Obviously, you need a smattering of history and geology of the area you’re working in, but then there are things like being aware of what plant species are native, which were introduced and when and for what purpose (for example, Vinca minor – graveyard ivy – isn’t native to Kentucky, doesn’t spread much on its own, and was a common graveyard planting in the 19th century); things like the fact that tanneries used human urine as a chemical component of processing leather (and therefore might be located near a lavatory in a historic building); things like what parts of an animal have the highest caloric value…you get the idea. Anything might turn out to be useful. Everything is writing / Everything is archaeology. This is kind of along the lines of the previous. Anything you know about, hear about, learn about, can potentially be applied to fiction writing, and the same goes for archaeology. When you think about it, since archaeology is essentially the study of the human past, then any human behavior, and any natural phenomenon or environment that humans have ever had a relationship to, well…that pretty much covers everything. When it comes to writing, everything you observe, think about, act upon, receive responses from, and interact with is story potential. Getting into a point of view. Unless you’re writing a fictionalized autobiography, fiction requires you to step out of your own worldview and into the worldview of somebody (or more than one somebody) else. Any branch of anthropology, including archaeology, requires the same thing…except you’re doing your best to step into the worldview of real people, living or dead (depending on what you’re working on). Beginning, Middle, and End (and sometimes Epilogue). Obviously, a story has to have a beginning, middle, and end – even if it’s a flash fiction story, something happens, something changes, someone’s mind opens or closes or shifts. In archaeology, we have Phase 1 projects (surveys, which might be done with ground penetrating radar or electromagnetometry or by walking the site or by shovel testing), Phase 2 projects (“Hey! We found stuff in Phase 1 and someone is willing to pay for us to find out more! !”) where you dig test units in areas that promise evidence of features or artifacts, and Phase 3 projects (when you excavate a site in detail). Not every site gets to Phase 2, and not all Phase 2 projects go on to a Phase 3. It depends on money, the site’s potential for adding to our knowledge of history/prehistory, and why the site was being excavated to begin with (Who funded it? Did they fund it voluntarily, or for compliance with the law before their development could move forward? How fast do they want the archaeologists out of their hair?) Or you could view the beginning, middle, and end of archaeology this way: Excavation, artifact processing, and report writing. Because those three steps happen on any project, at any level (unless you’re a lousy archaeologist). The epilogue, in that case, could be seen as public presentations, or in some cases the establishment of a historical center or local museum on site. Drinking, Swearing, and Nerding Out. All three of these activities are near and dear to both archaeologists and writers. At least, 90% of all the archaeologists and writers I know. Preferably, do all three at the same time while in the company of other writers/archaeologists after a day of slaving away at the computer/with the trowel. So, we dig stuff up. Trash pits and privies are the best – what people throw away says a lot about them, a lot about their culture. Building footprints. Projectile points. Animal bones left from meals. Broken dishes. Medicine bottles. Buttons. The scraps of the past that nobody thought were worth mentioning. And that’s precisely the stuff that can be used to learn the untold parts of history – which is what I love about historical archaeology. I don’t dig dinosaurs. That’s paleontology. But, yes, I love dinosaurs. I don’t dig with a bullwhip and a revolver, but, yes, I love Indiana Jones (even if he is a terrible archaeologist). I was raised in the woods by wild English teachers, and have been writing for as long as I can remember. I've been a freelance editor since 2009, and love reading anything from classic literature to fantasy to historical fiction mysteries, but particularly anything that mixes genres. In "real life" I work as a field and lab technician at a Louisville CRM archaeology firm, and love it.